Scott Hotel Management Institute is one of the best-known groups of Hotel and Tourism education in India and has been making highly qualified professionals from past 20 years. The institute is accredited by the Union Grants Commission, Government of India. It has also signed the APIU Global Ltd. Edinburgh to help train the students to international standards and provide assets to the Hospitality Industry. The College has produced a number of enthusiastic, passionate and industrial graduates who have succeeded in various countries and have been extremely beneficial. 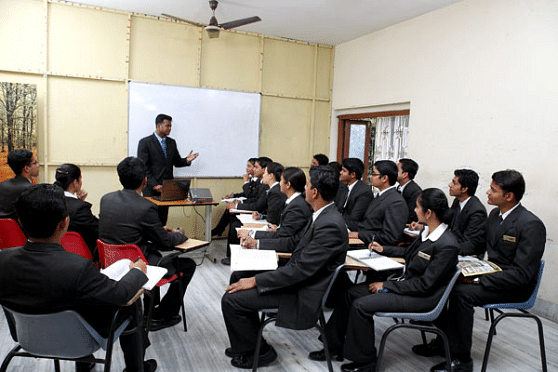 Why to Join Scott Hotel Management Institute, Kolkata, West Bengal? Facilities: Proper accommodation facilities are provided to the students. Libraries are well stocked with a number of books, journals, magazines, dailies, etc. Classrooms are well furnished and have audio visual aids to help make the learning process even more interactive. Various other training facilities like the training kitchen, Bakery and Confectionery Units, computer labs, Training Restaurants and Bars, etc. are provided to the students. A number seminars, guest lectures, etc. are held throughout the year that helps to bring the aspirants closer to the industries. Faculty: The College has some of the best and most qualified professionals who help the students in every possible way and make sure that they have a bright future ahead.